My exotic meditation flute set features scales from India and Arabia! 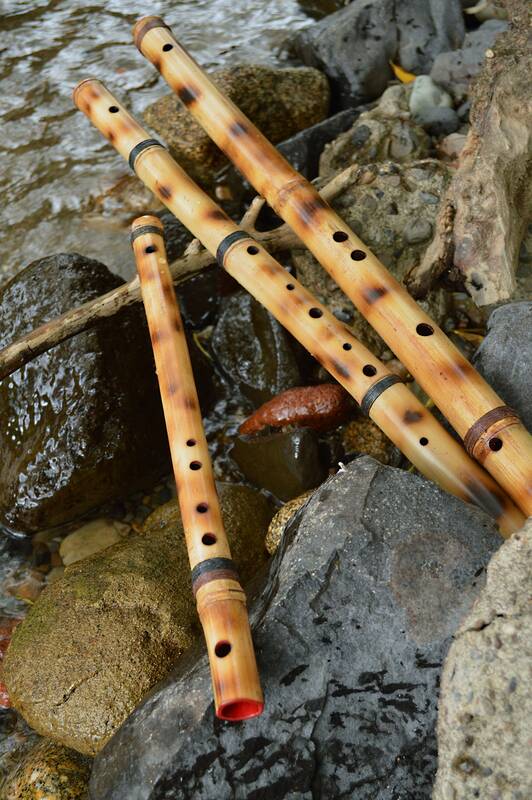 In this set you get the 15 inch Bhairava Raga Flute with 6 holes usually in A, the 23 1/2 Inch Bhairava Raga flute with 6 holes, usually in C and the 19 Inch Arabian flute with 6 holes usually in E. All flutes are built from cured Chinese bamboo, all holes are burnt from a selection of burning rods. Each flute is uniquely colored via burning with fire. 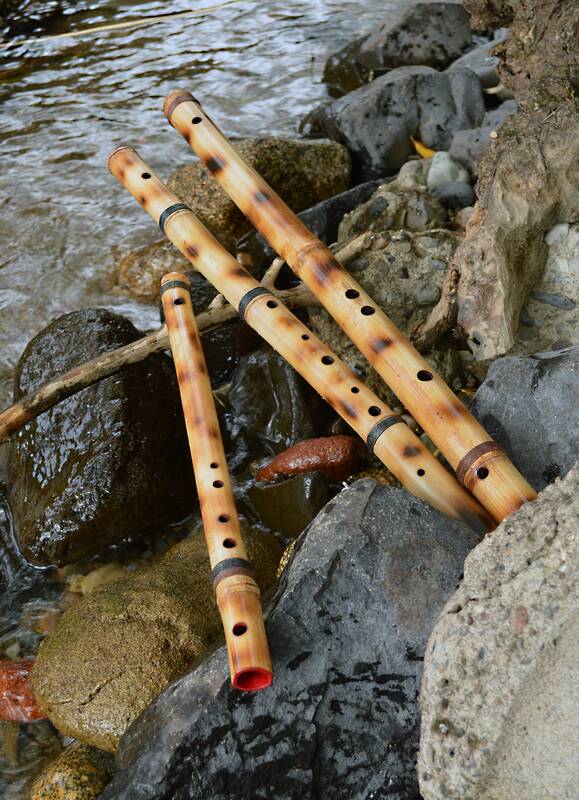 The bore of each flute is finished and colored in cherry red. Beautiful gloss final finish. Brown and black hemp bindings are added. The flutes are tuned to A440 HZ tuning. 2-3 octave range. This is an amazing set of meditative Eastern sounds/scales to be working with in your playing! A great deal to ... when you buy a flute set, you get the flutes at a lower price!